Last week, the Board of Directors for the Orange County Fire Authority (OCFA) unanimously approved a settlement agreement with the OCFA and the City of Irvine to continue our partnership through Fiscal Year 2029/30 with a vote of 22 to 0. 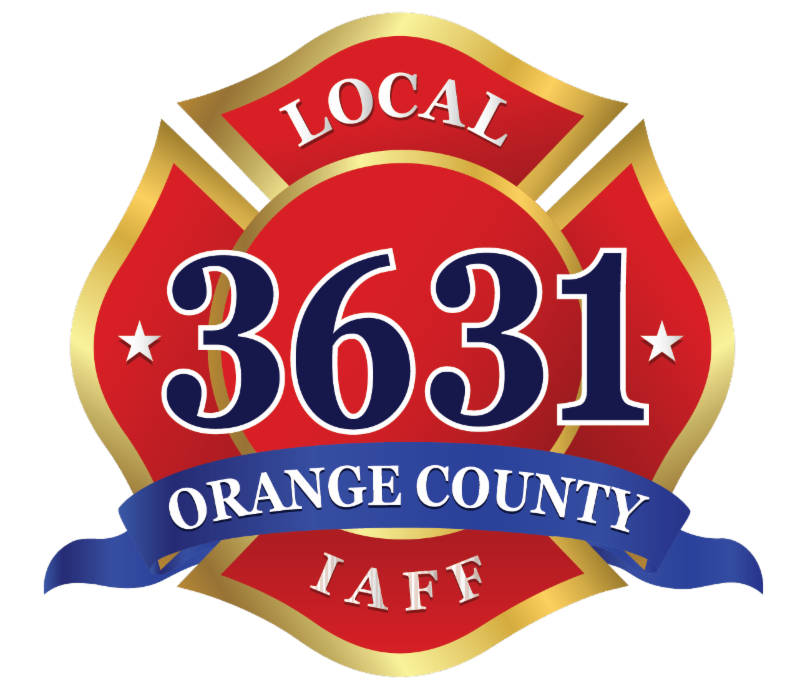 Orange County Professional Firefighters Association (OCPFA) President Tim Steging attended the meeting and spoke on behalf of the settlement agreement. 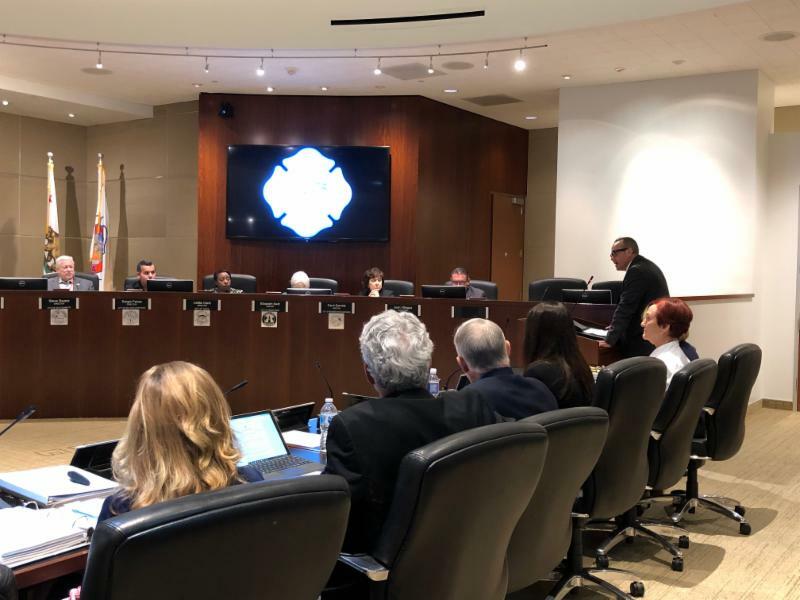 OCFA management has been in negotiations with Irvine city leaders for months, and both sides came to the agreement that was voted on March 28th. The OCFA operates 72 Fire Stations, Battalion Stations, and Division Stations throughout Orange County. Currently, 11 of these stations are located in the City of Irvine. 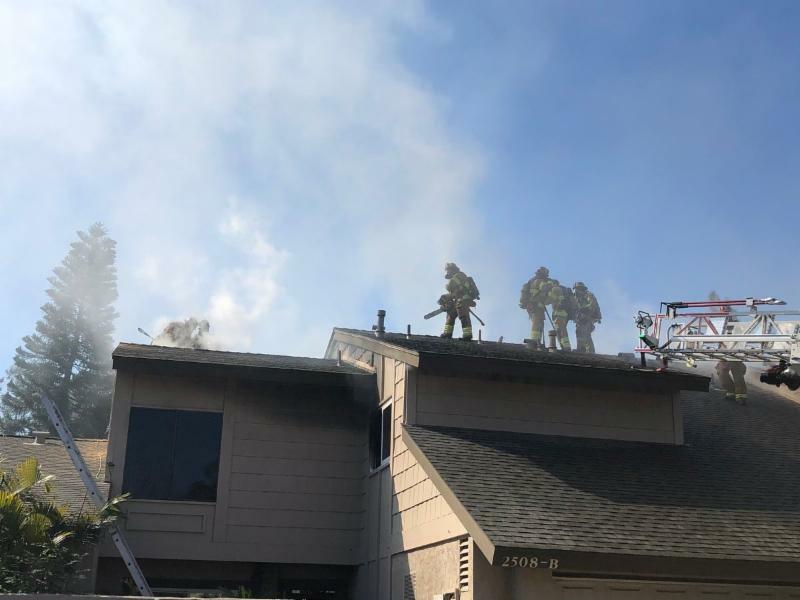 In addition, at least three fire stations are physically located just outside the city of Irvine, but they provide service for Irvine residents on a daily basis when called upon. The settlement will now go to the Irvine City Council for their final vote of approval. Local 3631 will keep you updated as the discussions and final votes take place. To view a full copy of the staff report with details on the settlement agreement, click HERE . On the same night the Irvine settlement was unanimously approved, the Board of Directors also voted to accept a negotiated agreement with the City of Garden Grove and the OCFA to have our Fire Authority and Local 3631 members provide fire protection and emergency medical services in the City of Garden Grove. 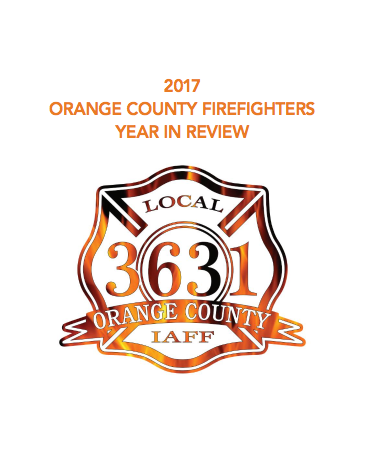 This has been a long process that has included multiple hearings, impartial studies, and hard work from Orange County Professional Firefighters Association Local 3631, along with our OCFA administration and our brothers at Garden Grove Fire Local 2005. The agreement will now return to the local Garden Grove City Council where they will vote in early April to hopefully support the unanimous consensus of the OCFA Board to transfer service from the Garden Grove Fire Department to the OCFA. 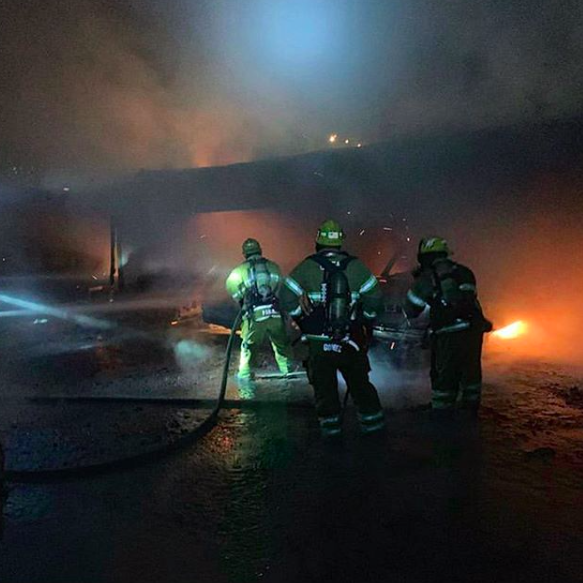 Special thanks to Garden Grove Firefighters and their President Bill Strohm, who has been steadfast in pushing this deal forward, and former OCPFA Local 3631 President Baryic Hunter, who was also heavily involved in the early stages of the negotiations. 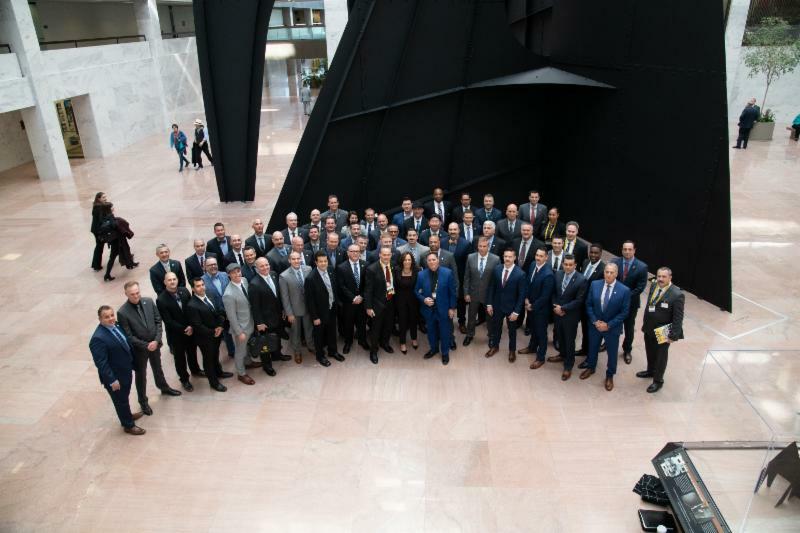 Firefighters from throughout the nation, including our Political Affairs Director Todd Baldridge, gathered in Washington, D.C. last month for the International Association of Fire Fighters Alfred K. Whitehead Legislative Conference. During this annual gathering, Firefighters have the opportunity to advocate directly with legislators on key federal issues, including legislation impacting their jobs, health and safety, and economic security. 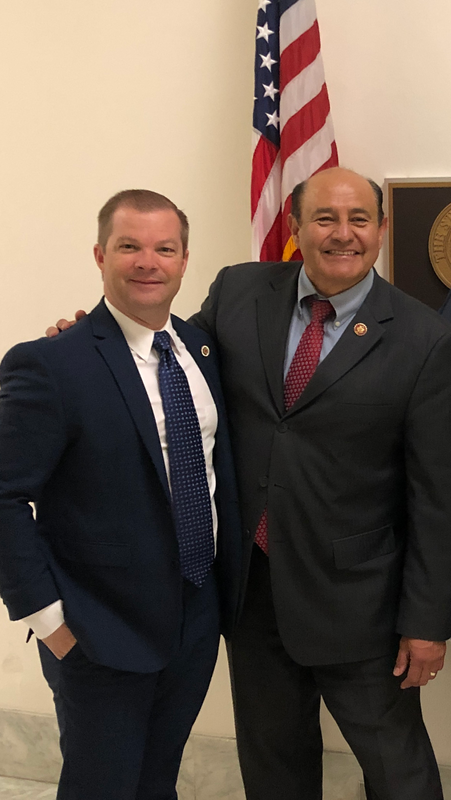 OCPFA met with several elected officials, including Congressman Gil Cisneros, Congresswoman Katie Porter, Congressman Lou Correa, and U.S. Senator Kamala Harris to discuss critical issues facing Firefighters. The priority legislation for the 116th Congress includes bills on public safety collective bargaining rights, supporting Firefighter mental health programs, expanding health care options for retired public safety officers, extending the 9/11 Victim Compensation Fund, and testing Firefighters for exposure to toxic substances. To watch highlights from the conference, click HERE . 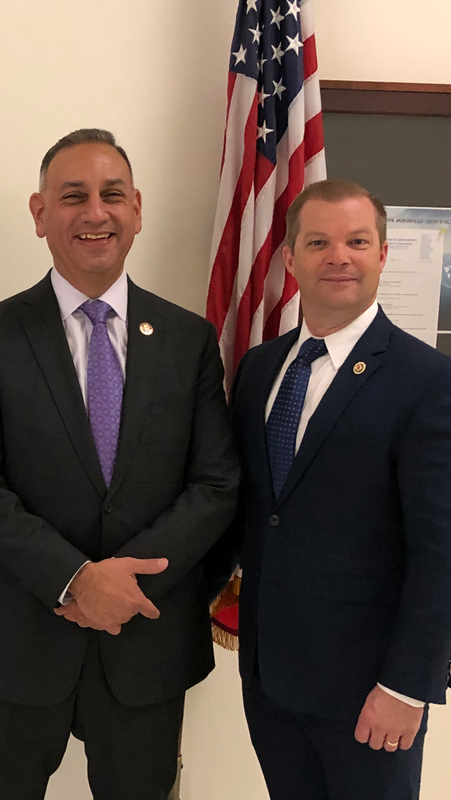 To view a copy of the 2019 IAFF Fire Fighters Issues Book of legislative priorities for the 116th Congress, click HERE . 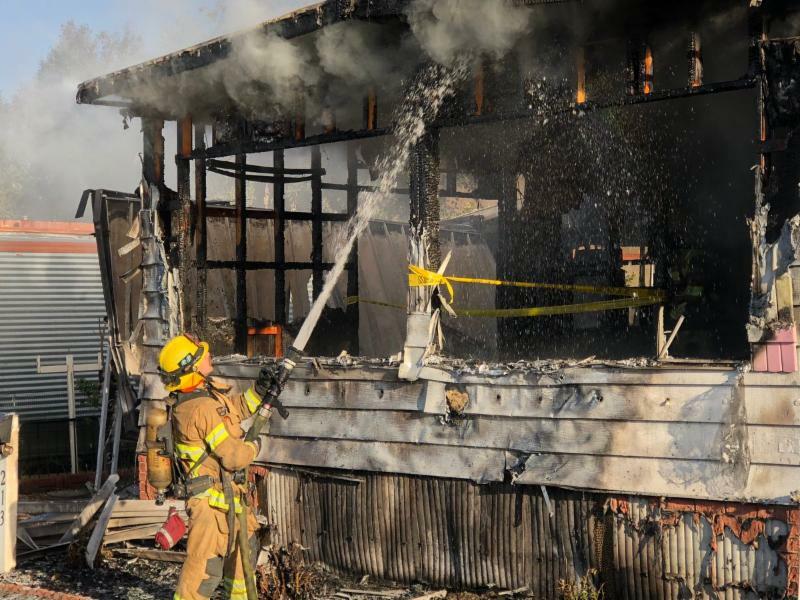 WESTMINSTER - A Westminster resident with two previous arrests in arson cases was booked again on suspicion of setting a fire Saturday, March 9 after a blaze in a mobile home burned two people, Westminster police said. 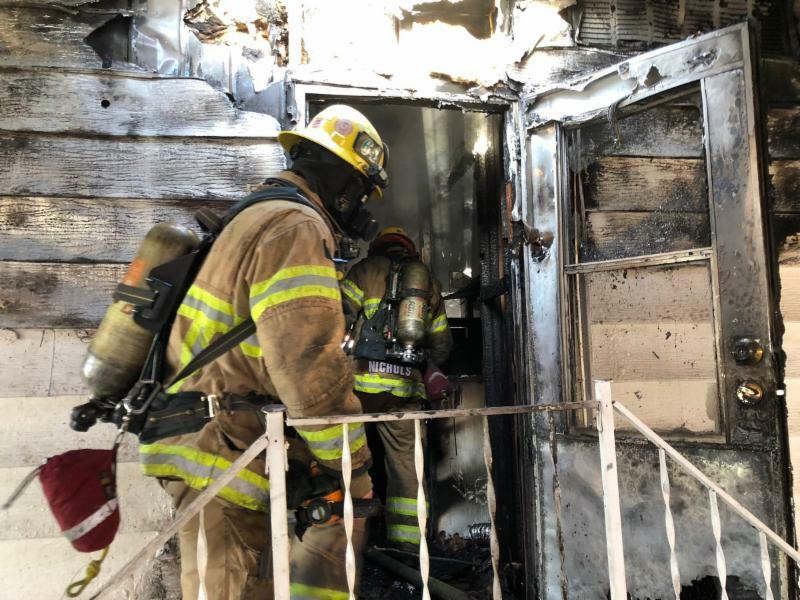 Orange County Fire Authority firefighters dispatched at 6:45 a.m. to the 9700 block of Bolsa Avenue arrived to find a well-involved fire in a mobile home and had to rescue a person from the structure. The other victim was able to escape before firefighters arrived. One was in critical condition and the other was in stable condition, police said. 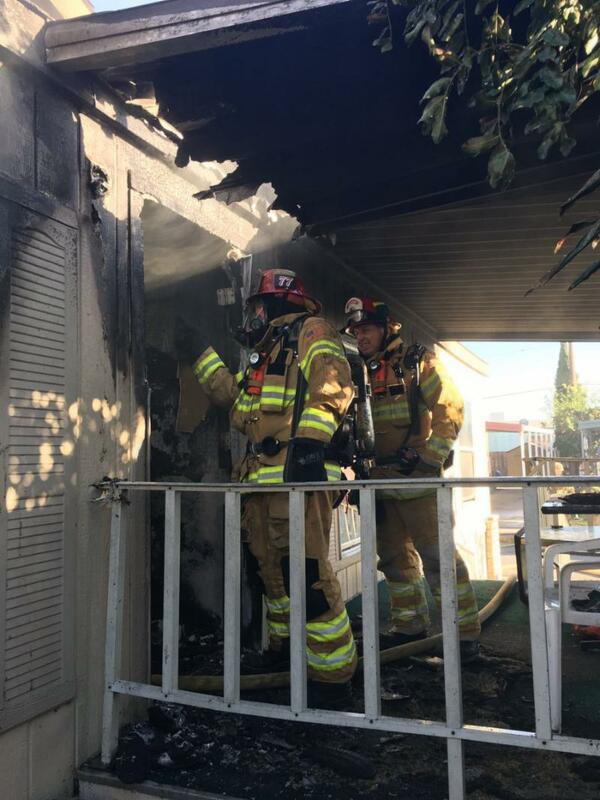 SANTA ANA - OC Firefighters responded to a fire at 10:11am located in the 2500 block of North Tustin. A two-story duplex with flames on the second floor and attic was knocked down in less than 25 minutes. No injuries reported and arson investigators responded to the scene. 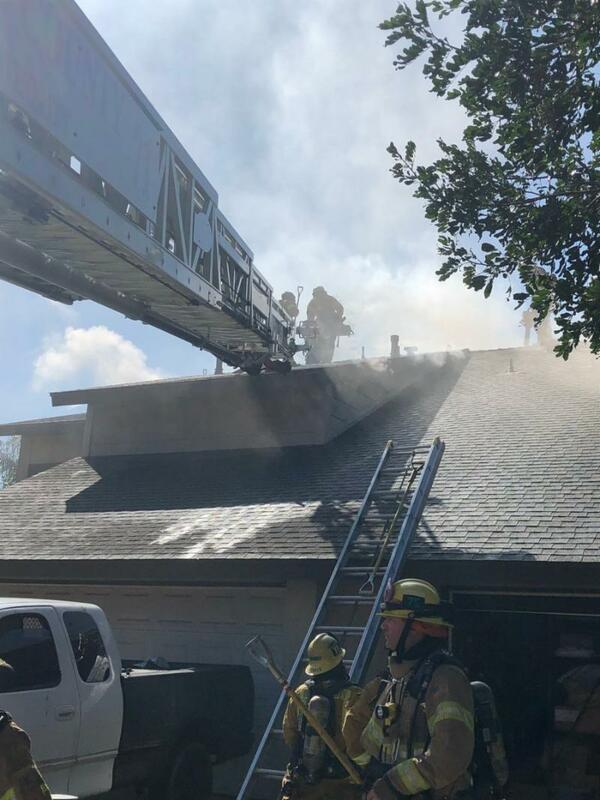 SANTA ANA - OCFA Firefighters responded to call where a five-year-old alerted the 19-year-old brother who was in the shower about a fire in their home. Firefighters who were at the scene stated that the child’s quick actions saved both of their lives. SANTA ANA - OC Firefighters rushed to the 1300 block of N. Ross in Santa Ana at 5:04AM. 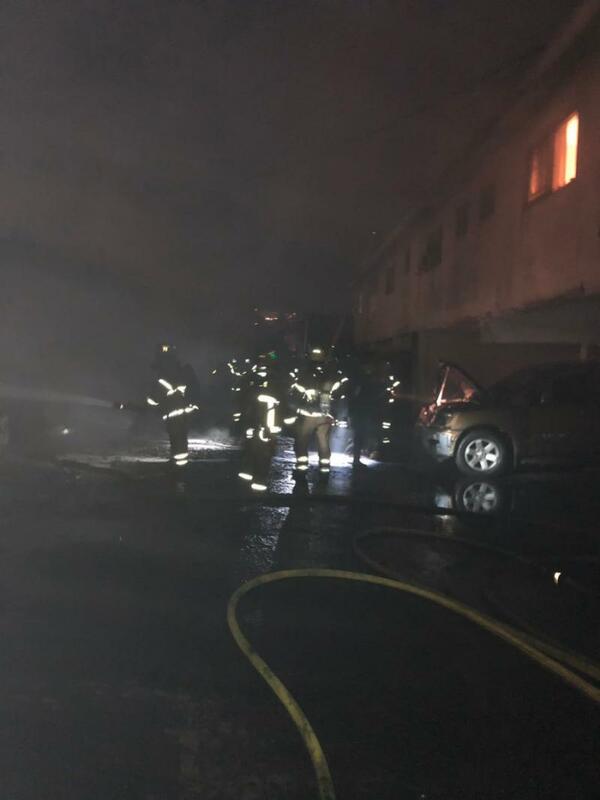 A 2nd alarm fire quickly engulfed six vehicles within a carport, leaving the adjacent apartment building exposed. All apartments were evacuated. No injuries reported and flames were extinguished at 5:35AM. Hose lines were quickly deployed to attack the fire while crews evacuated both buildings. It took about 25 minutes to knockdown the fire and confirm there was no fire extension into the surrounding apartments. 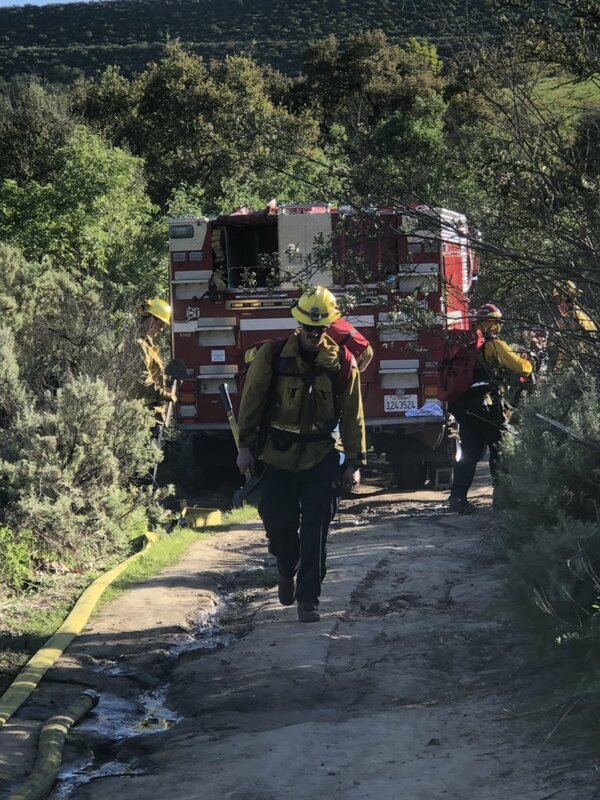 IRVINE - A brush fire burned a quarter acre in Bommer Canyon on Saturday before firefighters made quick work of the blaze.The fire was reported at 3:55 p.m. in Bommer Canyon, near Shady Canyon Drive in Irvine. 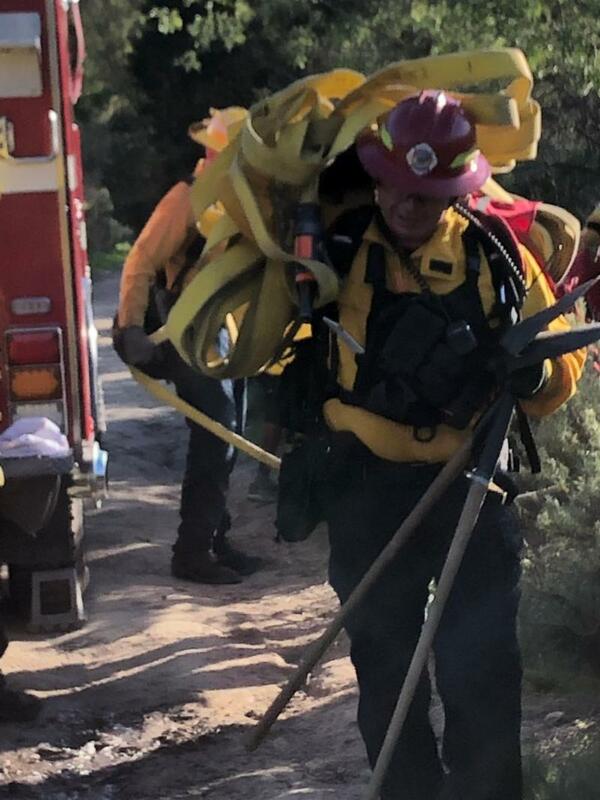 Ground fire crews and one helicopter with the Orange County Fire Authority quickly extinguished the flames, stopping it at a quarter acre, said Capt. Paul Holaday, spokesman for the department. The suspected cause of the fire was a downed power line, Holaday said, adding an investigation into the cause was continuing. SEAL BEACH - California Highway Patrol closed the northbound 405 at the 605 freeway after multiple vehicles collided Wednesday morning. As many as 18 people were injured when four vehicles crashed, Orange County Fire Authority told Patch. Two were considered trauma patients and were taken to area hospitals by paramedics, and 16 more suffered minor injuries, OCFA Capt. Tony Bommarito reported. The most serious injury was a broken arm, CHP Officer Duane Graham said. 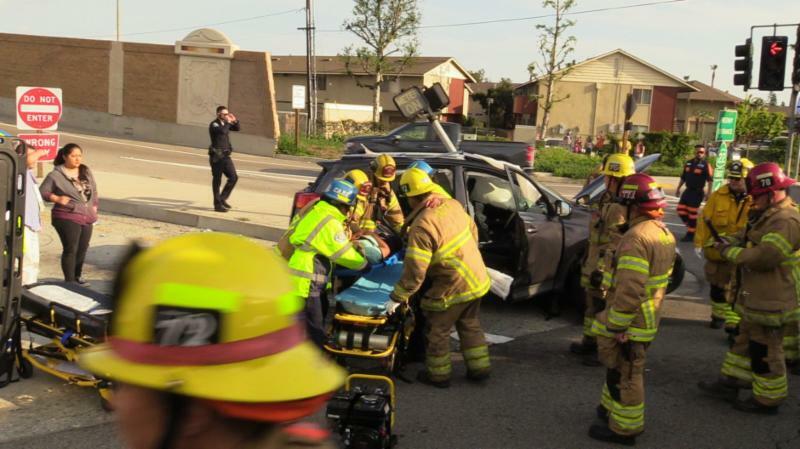 SANTA ANA - Three people were briefly trapped in a vehicle after it collided with another vehicle at a Santa Ana intersection Saturday afternoon, March 23, authorities said. Orange County firefighters were called to Bristol Street and Hesperian Street just before 2:45 p.m. on reports of a two-vehicle crash, Capt. Cameron Rossman said. Five people in one of the vehicles were transported to local hospitals, three with minor injuries and two with more serious injuries, Rossman said. HIGHWAY 74 - Two people were hospitalized following a single-vehicle crash on Ortega Highway near Caspers Wilderness Park on Saturday afternoon, March 23, authorities said. About 2:35 p.m., Orange County Fire Authority firefighters were called to Ortega Highway and Caspers Park Road on a report of a single-vehicle crash, OCFA Capt. Cameron Rossman said. Two people needed to be freed from the wreckage and they were taken to a trauma center, Rossman said. SAN JUAN CAPISTRANO - About 10 a.m., deputies with the Orange County Sheriff’s Department and paramedics with the Orange County Fire Authority were called out to the parade route to assist a woman who had hit her head after falling off the horse, sheriff’s Lt. Joe Cope said. “There was a rider on a horse in a staging area getting ready to go out into the parade route when the horse was startled,” Cope said. The horse ran a short distance, but was corralled by others along the parade route, Cope said. The woman was treated on scene and taken to a trauma center, which is standard protocol for paramedics when dealing with a patient who falls off a horse, OCFA Capt. Cameron Rossman said. 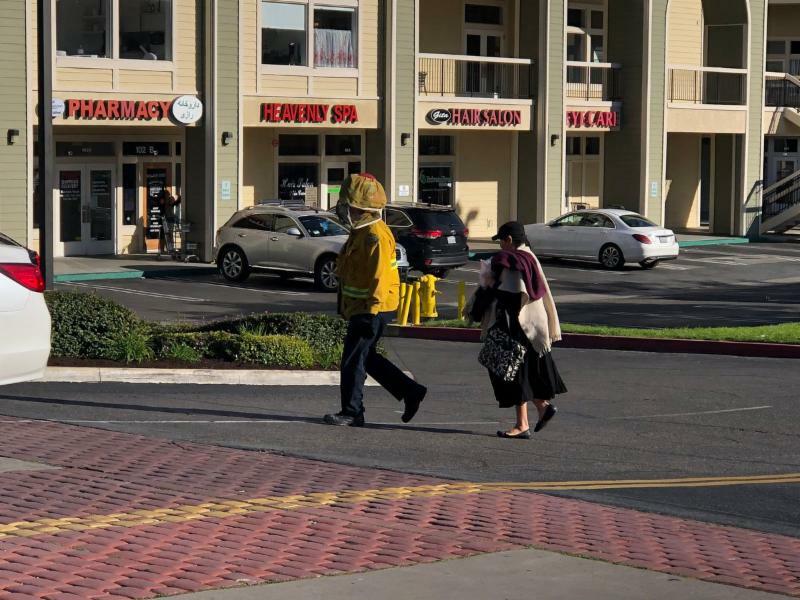 MISSION VIEJO - A swarm of aggressive bees stung as many as 20 people, including several firefighters, Thursday afternoon in Mission Viejo and prompted the evacuation of a shopping center. 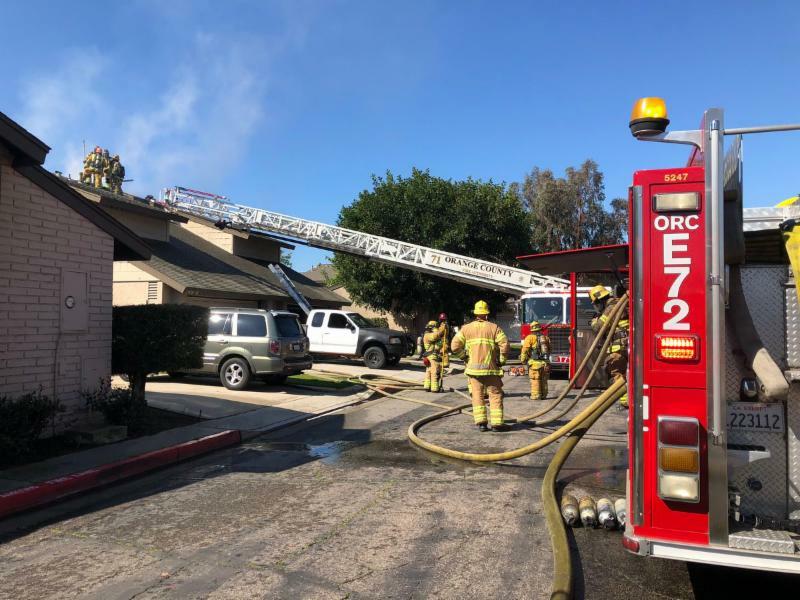 The aerial assault was reported at 3:07 p.m. at Oaktree Village in the 23100 block of Los Alisos Boulevard, according to the Orange County Fire Authority. Each of the victims received multiple stings, but no one requested medical attention, according to the OCFA. 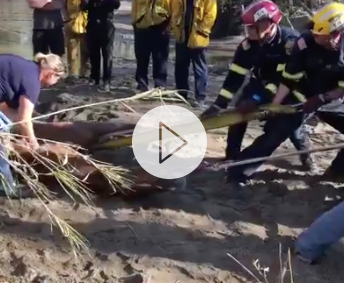 SAN JUAN CAPISTRANO - OC Firefighters came to the rescue of a horse stuck in the mud in a riverbed at the 31400 block of Avenida De La Vista around 3:53PM. Technical Rescue Crews successfully pulled the horse to safety with the assistance of a veterinarian who had to sedate the animal for its own wellbeing. 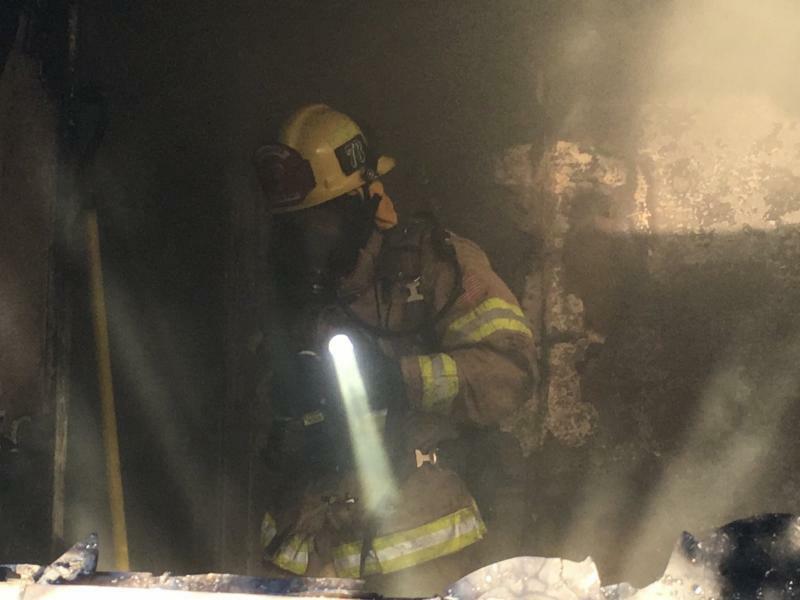 The suicide rate among Firefighters has been estimated at 18 per 100,000 people, exceeding the rate in the general population of 13 per 100,000, according to a report by the Ruderman Family Foundation and federal data. Documented suicides have been rising since around 2005, and exceeded 100 each year from 2014 to 2017, according to the behavioral health alliance. More firefighters took their own lives than died on the job over that span, though line-of-duty deaths often eclipse suicides in the media and public consciousness. 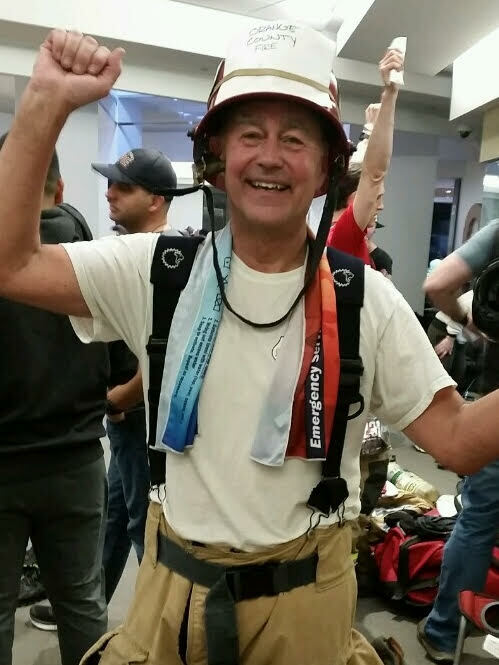 On the day of the stairclimb, I creaked and groaned my way up the stairwell often collapsing in a corner only to be roused by kicks from passing climbers encouraging me to pack up and go home. Knowing my wife (who had the car keys) was waiting at the top, I continued to trudge along while my vision narrowed and lungs wheezed. Not accustomed to regular exercise, I didn’t even consider challenging the record time of 10:23 minutes, my only intent was on surviving. 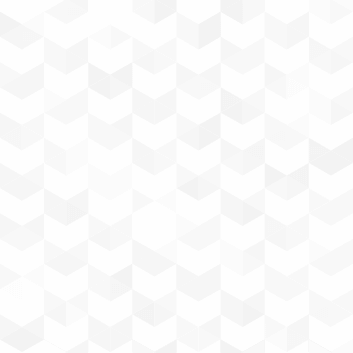 It took me over 30 minutes. So why, you ask, would I put myself through this torture? Having incurable lymphoma, I am keen on finding a cure. Thankfully, the new recruits are learning from our mistakes. Cancer awareness and prevention is being taught so hopefully firefighter cancer rates will drop. Until then, please consider making a donation to benefit patients and their families everywhere. 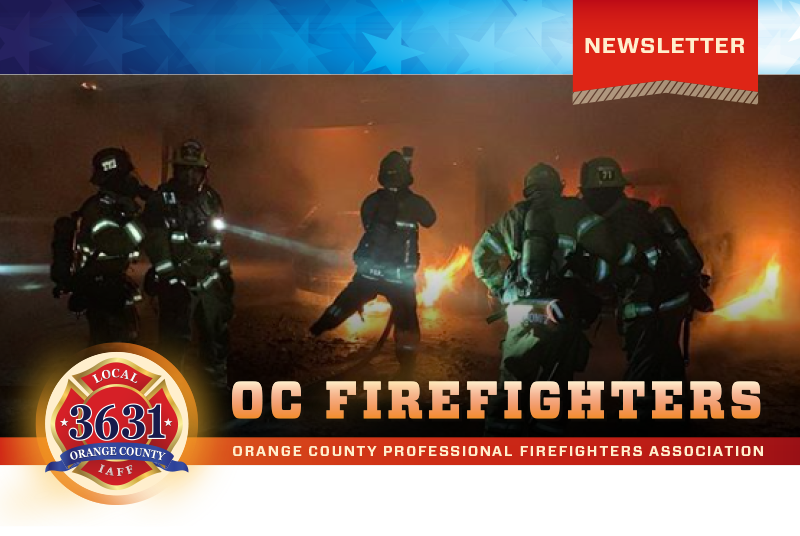 Not certain if I have another year left in me, I am encouraging the healthy young guys to pick up the torch and do a better job representing the OCFA next year. Over $9,000 in donations have been raised under the OCFA banner. Not bad for the first year! Thank you very much to all the generous people who have contributed to such a worthy organization. 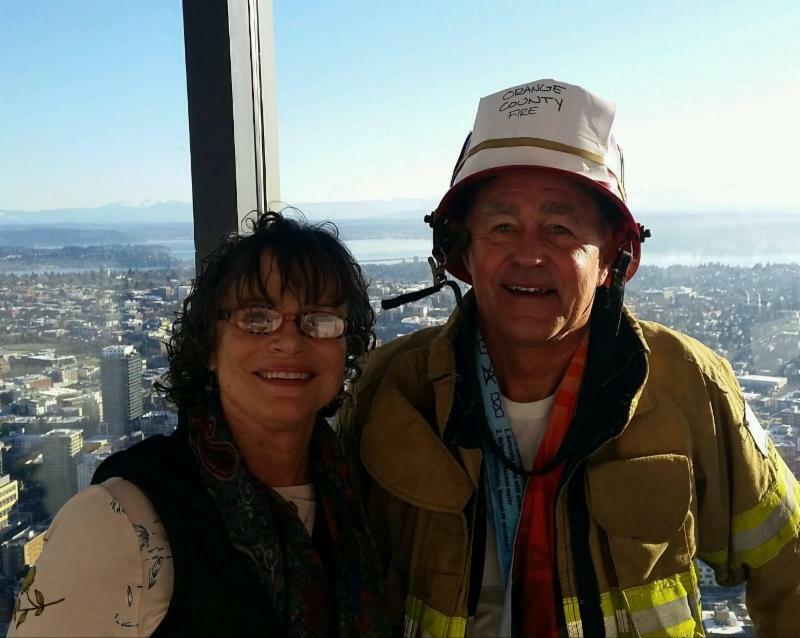 More information on the LLS Firefighter Stairclimb and donations for blood cancer research can be found when you click here: Visit My Personal Page .